Border security is a joke. Until both political parties take border security seriously, immigration reform should be off the table. 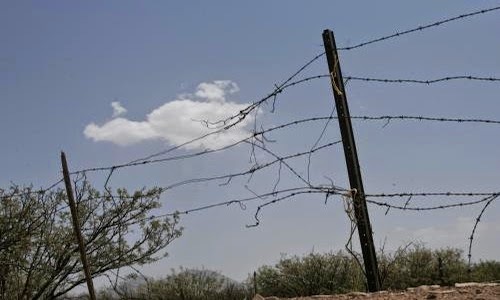 Hundreds of infants and toddlers ages 2 years or younger have allegedly been apprehended by U.S. Border Patrol while crossing the border illegally without a parent or guardian in the past year. From October 1, 2013 to June 11, Border Patrol detained 378 unaccompanied children ages two or younger, according to data obtained by Fusion from the office of a high-ranking Democratic senator. Of those children, 95 were infants under 1 year old. Fusion tried multiple times by phone and in writing to confirm the reports with U.S. Customs and Border Protection and the Department of Homeland Security, but no official would comment specifically, and instead referred to a previous statement. The Department of Health and Human Services, charged with the care of unaccompanied minors caught at the border, did not respond to a request for comment.